A combination of Danny Welbeck and Wes Brown ensured the disappointing hosts stole all three points as an unfortunate Sunderland side can count themselves unlucky for not getting something from the game. The Manchester United statistics don’t lie as the 19-time champions bossed the match but were not as convincing as you would expect from England’s best team. The game was very much a slow-burner to begin with as the celebration for the manager’s longevity in the hot-seat got underway ahead of kick-off. 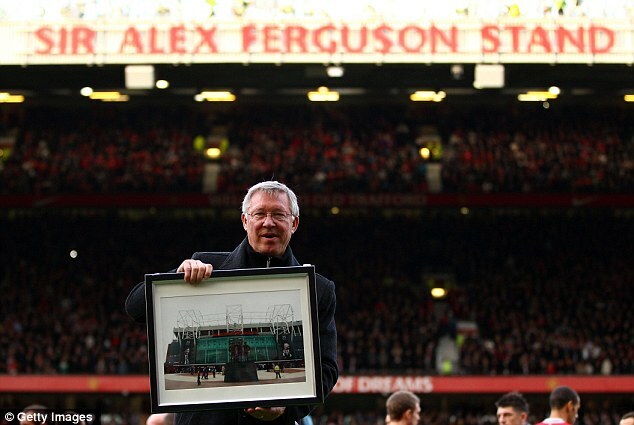 The Sir Alex Ferguson stand was unveiled as well as plans to erect a status of the Scottish coach and the players didn’t seem to have their mind on the game either in the first-half. Despite offering very little going forward, Steve Bruce’s team were brilliantly organised at the back as the threat of Javier Hernandez, Danny Welbeck and Nani were nullified easily, with Wayne Rooney playing out-of-position in central midfield, restricted to long-range efforts on Keiren Westwood’s goal. The lack of cohesion and fluidity in both sides play suggested there would be no goals in this half. However in the first minute of injury time, Nani floated in a teasing corner, catching the Sunderland rearguard sleeping. Welbeck glanced his header towards goal before Wes Brown got a deflection to help it into the net. The brave away team’s resistance was broken by a mixture of misfortune and a lack of concentration. The half-time team talks changed hugely with that strike as Alex Ferguson’s outfit got the goal the occasion justified. For the second period, Sunderland came out to attack more but this only suited the home side greater as they had more room to play in. With the game opening up, United had two magnificent opportunities in the space of several seconds. Rooney saw his left-footed volley turned away but Westwood and the Irishman bettered that save by denying Patrice Evra from point-blank range. But just 10 minutes before the end, the champions could’ve paid for their profligacy when Sebastian Larsson found space down the right flank. The ex-Birmingham winger slid a dangerous ball across Anders Lindegaard’s six-yard box. However on-loan forward, Nicklas Bendtner was mere inches away from converting the golden opportunity as it agonisingly rolled across the face of goal and behind for a goal-kick. The victory put Manchester United back into second place in the Premier League table after being surpassed by Newcastle United earlier in the day. However they still remain five points behind Manchester City after they secured a hard-fought win against QPR. Visit WhoScored.com for more detail match reports and football statistics.